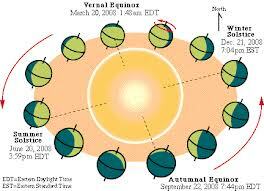 In a few minutes the sun will cross the equator and Fall will begin. It happens only twice a year, the equatorial crossing. The ancients were much more attuned to such events, it seems, than we moderns, and at times I feel adrift being so far removed from the nature of things. Equinox comes from the Latin words for “equal night.” From here on out, the sun shies away from us in the Northern Hemisphere and night creeps in like a slow tide. In Spring, the tide recedes. 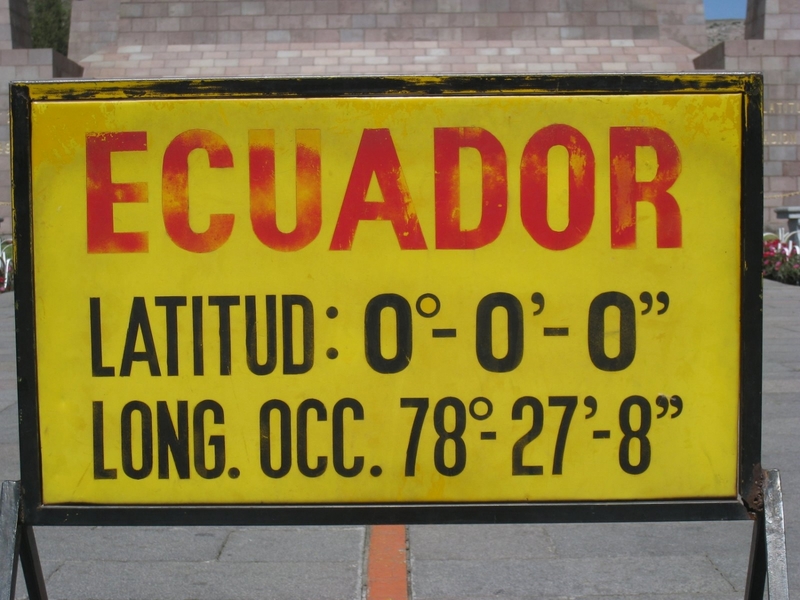 As best I can recall, I’ve crossed the equator eight times, mostly in the air and that hardly counts. Once on land, however, I crossed it and there, spanning a two-lane highway in Ecuador, was a yellow line, the width of a large paintbrush and on the shoulder a monument to the event, declaring the passage from one hemisphere to the other. I remember wanting to test the flow of toilet water. Did it flow counter to what I’d experienced in the Northern Hemisphere? I’m here to report that watching it circle in the bowl I could not remember, nor could confirm, the directional flow of toilet water. Another mystery gone unsolved. Sometimes when thinking in big ways about big things I like to drop a pin and remind myself where I am, a complex spot of carbon on the face of Mother Earth. It is an edifying and humbling method of perspective. I sit in Maine at my desk almost halfway between the equator and the North Pole at 43 degrees and 39 minutes. I have been closer to the South Pole than I have been to the North Pole and someday I would like to rectify that, particularly before the North Pole melts–an event the ancients, so attuned to their environment, could never contemplate. I think I will hike Bradbury Mountain today. I will climb to the top and when I get there I will stare into the sky and imagine the sun escaping, like Persephone being dragged to the underworld by Hades, heartbroken but resigned to what must be. I recommend observing the sink rather than the toilet. It works! We are underway on Moon Star, heading for upstate NY via the Hudson. The weather favors us. Tonight: a night at anchor in Newport Harbor. Tomorrow will be sea shanteys at the Griswold Inn. Hope the water is treating you well. This weather is perfect and I imagine being on the water is a special experience this time of year. Good to know how the water flows. I know the clouds churn down south counter-clockwise. I sometimes miss travel, sometimes not. But I worry that not missing it is a loss of interest in the world and I have to resist all that. But that is another tangent and right now all is right with the world and worry about such things seems such an indulgence. Thanks for the note.